Robert F. Kennedy Human Rights Award, designed by Robert Berks. Prestigious award was presented to Chinese democracy advocate Wei Jingsheng in 1994. Jingshen earned the sobriquet of ”The Nelson Mandela of China” for his outspoken support of a movement toward democracy in China, an advocacy that landed him in prison for a total of 18 years. Award takes the form of a dramatic and intimate bust portrait sculpture of Senator Robert Kennedy. 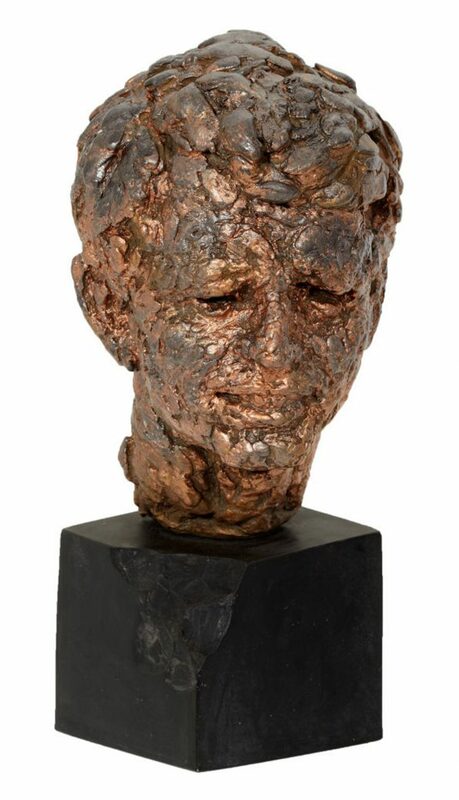 Artistically rendered bust by Alva Studios of New York and Robert Berks has a metallic finish and is mounted to a black pedestal with an intentional chip to corner. 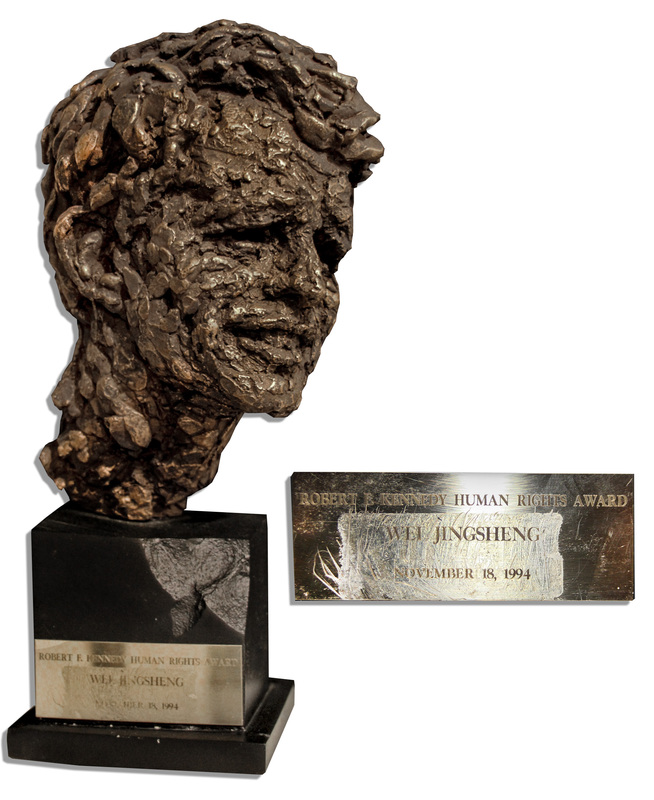 A plaque affixed to the base reads, ”Robert F. Kennedy Human Rights Award / Wei Jingsheng / November 18, 1994”. Measures 15” in height with the base measuring 5” square. Weighs 12 pounds, 8 ounces. Some adhesive residue to plaque, else near fine. Sold for $4,813. We also sold another Robert F. Kennedy human rights award, personally owned by his wife Ethel Kennedy and gifted from her to his aunt, [Mary] Loretta Kennedy Connelly. That one sold for $3,336. Please let us know if you have a Robert F. Kennedy Human Rights Award that is for sale.